This is a beautiful steelbook. The movie itself is not super jam-packed with action, but it was a fantastic movie for any space fan! Very good. The only thing missing is Turkish . Cuaron is the master cinematographer. I was in awe watching one of this previous moviews "Children of Men" and "Gravity" left me speechless again. Camera action, the way he constructs action and seamlessly merges CG effects with practical ones is eye-catching, inspiring and most of all very entertaining. + Always great experience when buying on zavvi. Kudos! Brilliant purchase to test out my new 3D tv. Miles better effects than I was expecting. This movie will have you at the edge of your seat especially in 3D. After an accident in space Sandra Bullock and George Clooney must survive with low oxygen working together to make it back to Earth safely. 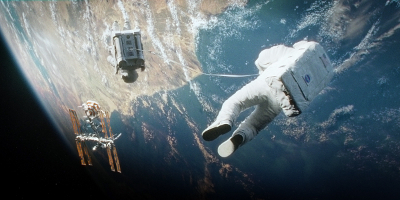 An action packed thriller in space with extreme realism. This is a great movie by itself, but I purchased the 3D version to go with my new TV and am impressed with the movie. I have 11 3D movies now, some of which I have received from Zavvi and this is by far the best movie to date. The clarity of the movie is amazing and so realistic. Also the steelbook that it came with is a great touch. This is my first steelbook and I am looking forward to being able to purchase more. I currently live in the U.S. and have had a great experience with Zavvi and their customer service. My item was sent right away and came well before the expected delivery date. Such a great movie experience that compares to the movie that I saw in the theater!!!! 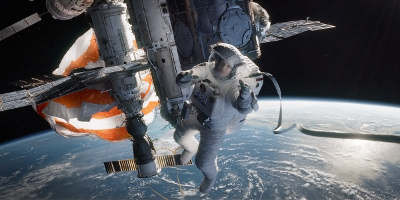 Gravity was a great movie. The acting and the visual effects were top notch. Happy to have this steelbook in my collection. This movie is also awesome thanks Zavvi.